Want to ride? Come join us at Velo Club Norwich. If you have been cycling around the lanes of Norfolk you have probably seen our members wearing the distinctive red and black kit. Why not join us? 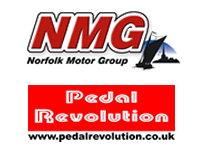 With 200 members and a busy club schedule, we are one of East Anglia’s largest and longest established cycling clubs. This website is intended to give an insight into the club for new or prospective members as well as providing a useful reference for our regulars when planning their season. 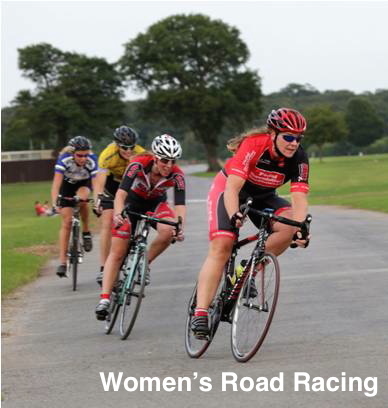 Some of us like to race, some like to time trial, some like to tackle challenges such as sportives, mountains, long distances or charity rides and some enjoy mountain biking. We are all united by a love for riding bikes. ….. The club’s main weekly event is the Sunday Club Run from the Forum which typically has 30-40+ riders and a choice of at least three groups to suit different abilities. We also run a variety of evening rides during the summer. For details on joining a club ride (0930 start GMT November to March, 0900 start BST roughly April to October), what you can expect and what we expect of you, please click on the yellow jersey. 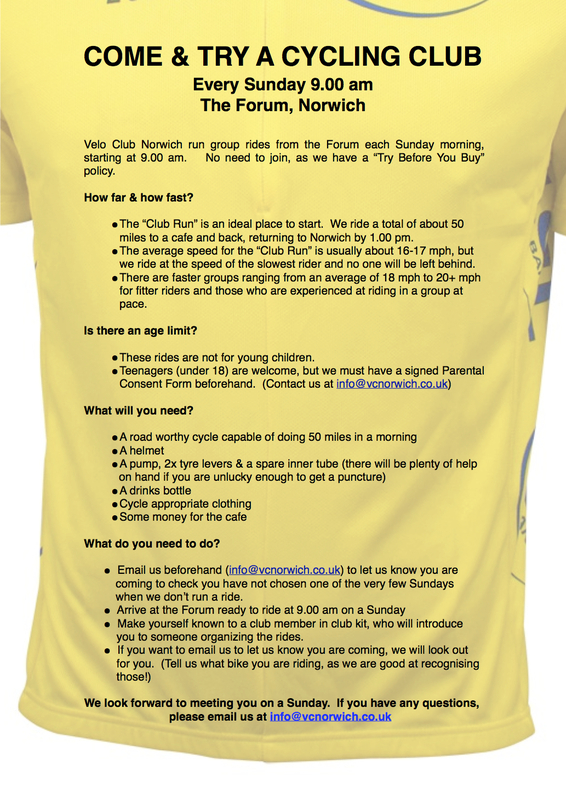 Please have a look at the rest of the website for details of membership, rides, racing and the many other benefits of being a member of Velo Club Norwich. Free introductory Bronze membership of British Cycling for all those joining VC Norwich who have not previously been a British Cycling member. Click on BC logo for more details.